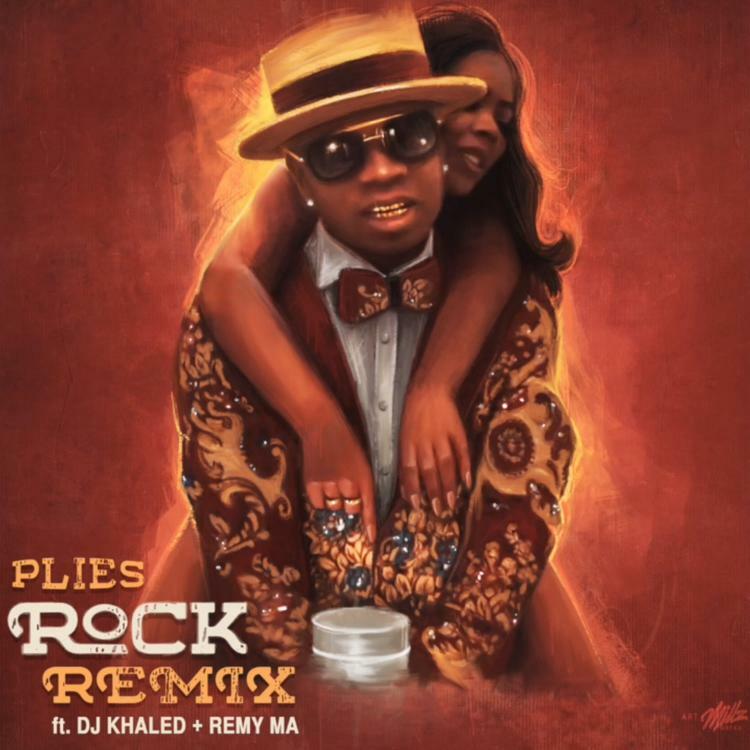 You might remember Plies' infectious "Rock" after catching one of the myriad viral videos surrounding its release. Upon spawning a dance challenge of sorts, the single helped carry the hilarious Floridian rapper back into the spotlight. Now, he's coming forth with a string of remixes, both of which featuring an eclectic cast of supporting players. The one you've landed on now finds Remy Ma and DJ Khaled riding for the cause, with the latter doing his usual hype-man routine. Naturally, Khaled wastes little time in continuing to expand on the Asahd brand, namedropping his first born as a product of his union with "his rock." While Plies comes through with a brief new verse, Remy Ma grabs the spotlight with a passionate verse dedicated to her husband Papoose. "Homie was there for I did my bid," raps Remy, "he aint' the dad, but take care my kid." She continues praising Pap as the ideal partner, likening him to Biggie and Pac, and proudly proclaiming him the best thing she has in her life. You've gotta respect such hopeless romanticism in the hip-hop universe. Tory Lanez Joins Rajan On "Maybe"